One Percent Health: Are Anti-Bacterial Soaps Harming Your Health? 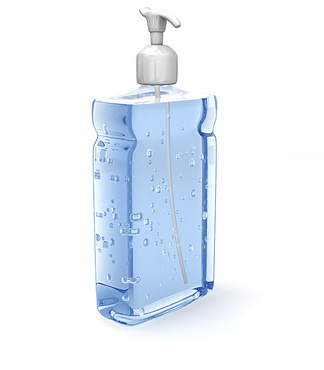 By Maylin Rodriguez-Paez, RN Antibacterial soaps are all over the market, but should they be? As it turns out, an ingredient found in most of them — a chemical called triclosan — may be bad for your health. Concerns have been raised over triclosan's use after several animal studies have linked it to severe health problems. Because of safety concerns, the FDA is investigating triclosan; however, their research is not conclusive as of yet. Of course, we’re not going to wait for them to finish. We don’t like it, and we think it’s pretty dangerous stuff. Studies show animals exposed to triclosan have reduced thyroid hormone levels. This effect has been seen in frogs and rats.2,3 Scientists believe this might have to do with triclosan’s resemblance to thyroid hormone. Now to be fair, a human study found no real thyroid effects from triclosan.4 But until more research is conducted, we’d prefer to err on the side of caution. Could this result in fibroids or endometriosis in people? Maybe. Again, more research is needed. Triclosan also disrupts the normal sexual development of young rats.6 This is a sure sign of hormonal imbalances brought on by triclosan exposure. This is certainly not a good thing for rats or humans. Soaps don’t have to contain harsh ingredients to be effective. Try products with essential oils instead. You don’t have to use antibacterial soaps to clean your hands. All you need is regular soap, good hand washing techniques, and warm water. The key to good hand washing is to scrub your hands vigorously and to target areas like the space beneath your fingernails and the area between your fingers. “Germs” really like to hide in these places. Wash your hands for 20 seconds or the time it takes you to sing the “Happy Birthday” song. That should do the trick. The bottom line is this: To stay clean, skip the chemicals and stick with good old-fashioned hand soap. It’s perfectly sufficient for keeping your hands germ free! Aquat Toxicol. 2006 Dec 1;80(3):217-27. Environ Toxicol Chem. 2010 Dec;29(12):2840-4. Sci Total Environ. 2012 Feb 1;416:75-9. Toxicol Lett. 2012 Jan 25;208(2):142-8. Am J Infect Control. 2004 Nov;32(7):402-8.